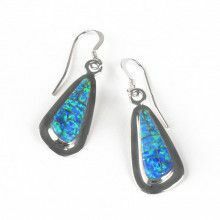 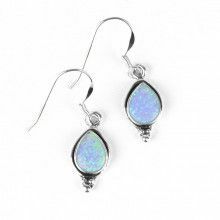 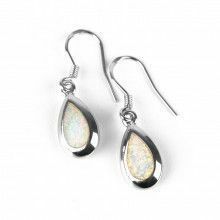 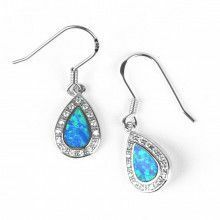 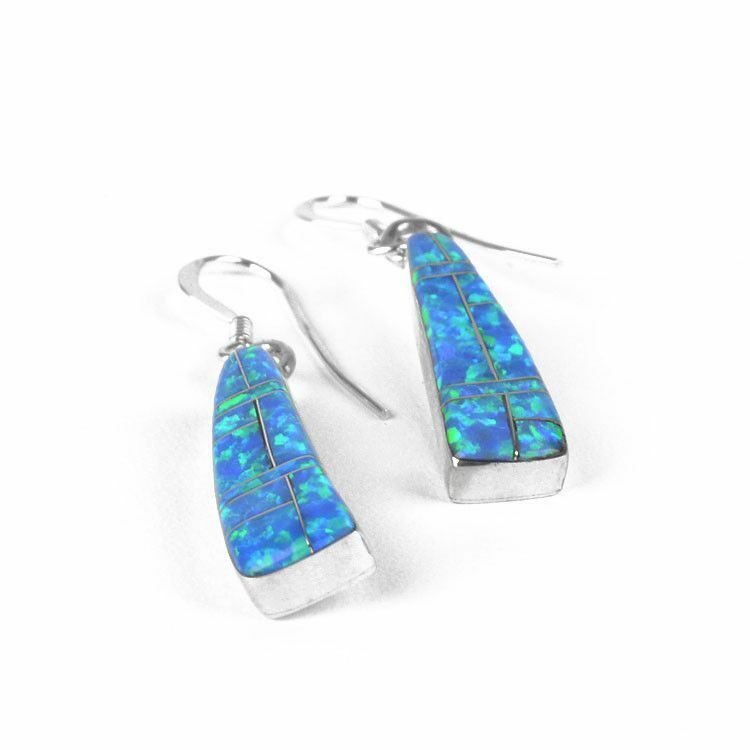 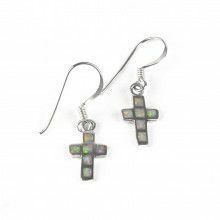 These unique lab opal earrings are about 1 1/2" long with a 1" drop in a fun angular shape. 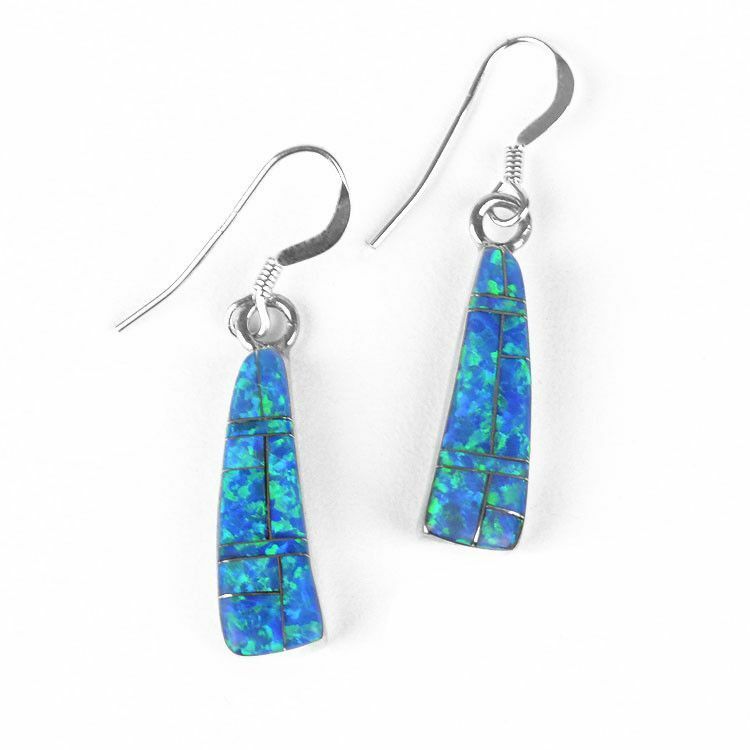 The fire blue-green gemstone is an inlay, with silver line accents. 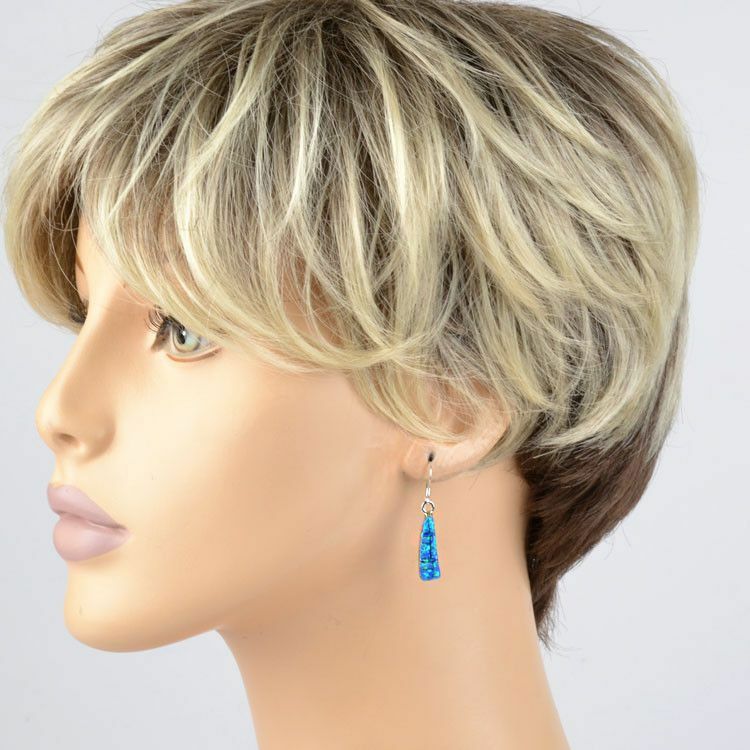 Cute earrings that are great for everyday wear! 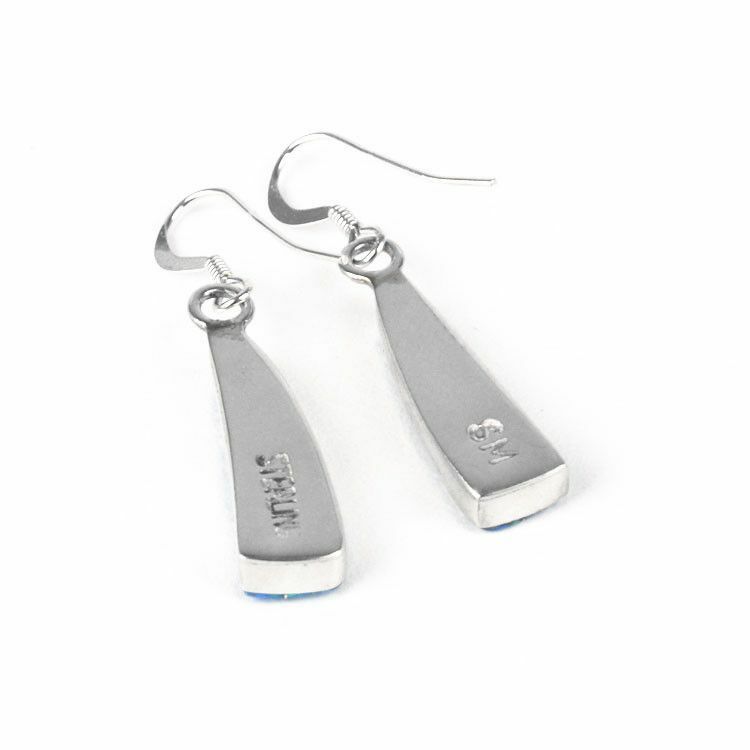 Simple hooks.